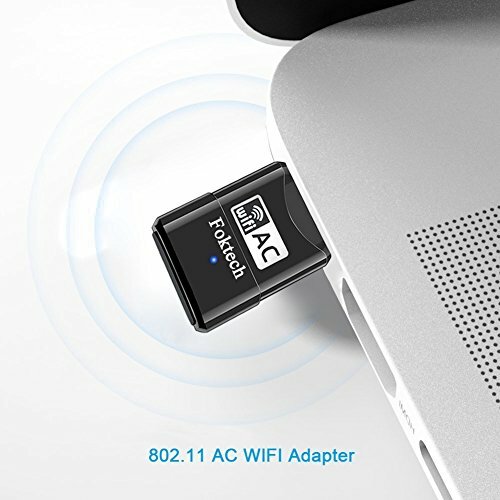 Foktech AC600 Wireless Network Adapter comes with the next generation Wi-Fi standard – 802.11ac. 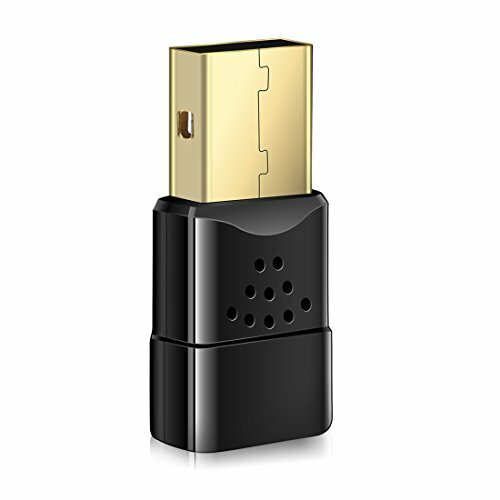 With 433Mbps wireless speeds over the 5GHz band or 150Mbps over the 2.4GHz band, it is ideal for seamless HD streaming, online gaming and other bandwidth-intensive tasks. 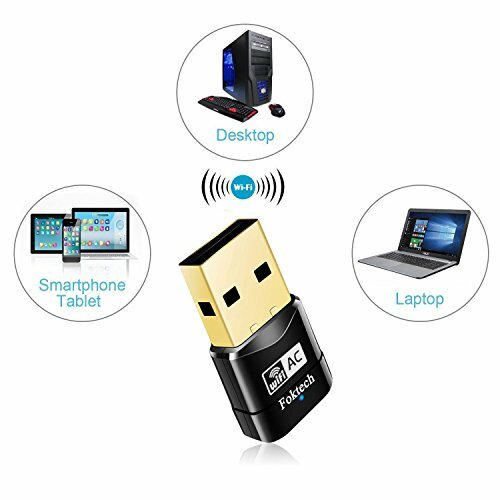 Foktech AC600 Wireless USB Adapter is backed by our 1 year limited hardware warranty. 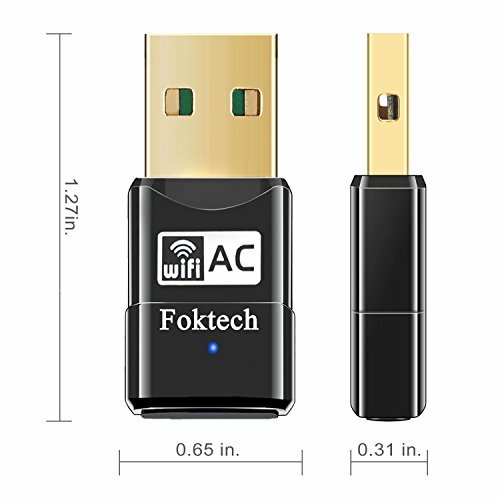 Kindly Note:If you have any questions or problem when using,please feel free to contact us by Amazon message or send mail to support@foktech.com.We will solve the problem for you as soon as possible.Sincerely At Your Service.Works with Any WiFi Routers: By using the AC600 USB WiFI adapter, you can upgrade your PC,laptop or Mac to work with the latest AC WiFi router for faster speed and extended range. No worry about network cabling. Not support TV, TV box, Printer, Projector. 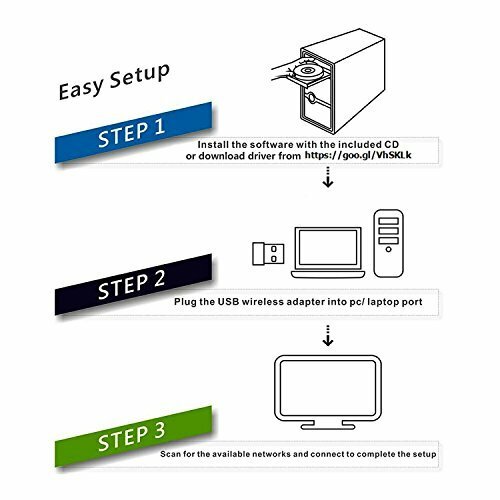 Easy to use: Before plugging the wireless network adapter into the usb port, please FIRST install drivers via MINI CD disc, or download driver from https://goo.gl/oyoRjB to install. Once you’ve run the software, you can simply insert the adapter to get connected.